You Can Fly! coauthored with my good friend Laurel Lippert, is also available on Kindle, and will shortly be introduced on iTunes for iPad. This book is perfect for anyone considering embarking on the dream of flight. Many thanks to Mike Lorden, Jennie Trerise, Jackie Spanitz, and the other fine folks at my publisher, ASA, for making this happen! 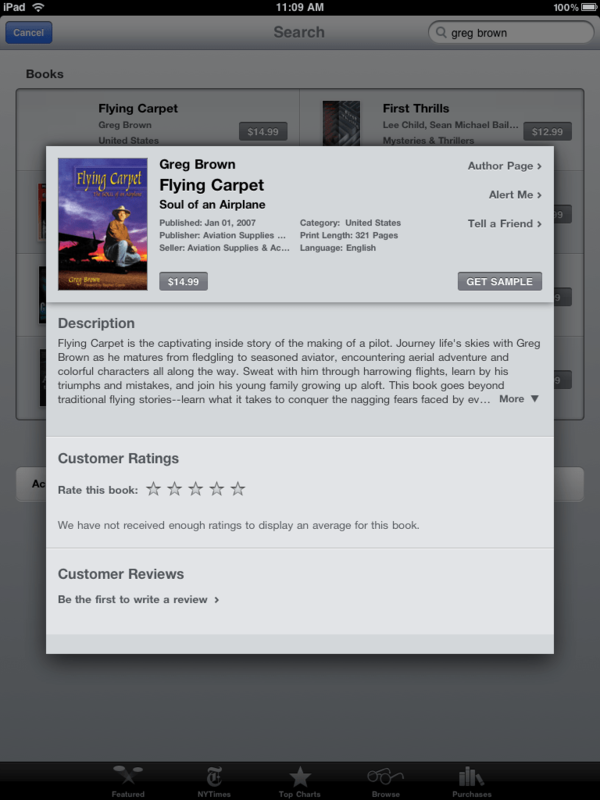 version of Flying Carpet: Soul of an Airplane. What a wonderful read. Thank you again for sharing this with all of us. Thank you, Gene! What wonderful things to say. Your words means a lot to me. Again, thanks! I had the paperback version— have read it so many times I have worn pages…..it was literally the first ebook I downloaded when my kindle arrived this week!